Therefore, from now on everyone who is capable of writing good installation instructions may start doing that and earn! If you can write an article, a chapter or a book for my website, I'll allow you to earn some money straight from my site (see explanations how it may work for you below). Currently, on this site I have 144 paid pages and 6 books (Site Map). Almost all of these pages are parts of the books and sold separately. However, a lot of topics are still not covered: for some of them I do not have enough knowledge, for the others I do not have any photographs to support my explanations. And because of that any of you have a great opportunity to put your knowledge in writing and get some money (and more) in return! Now here are some instructions for the Article, Chapter, and Book. Remember that these are great opportunities to get some cash. As an Article, I consider any type of information that would be useful for people involved in the HVAC business and for their customers and sellable at the low price, ranging from $1.86 (installation in pictures + short comments) and up to $40.00 (pictures plus step-by-step instructions). Set up a Buy Now button that for five years will direct all revenue generated by this article to your PayPal account. For the first ten years I'll post your company's name, address, email address and telephone number on the Wall of Pride page for advertising purposes (optional). Make a page for you with a link to it on the side bar (see an example on the left) where I will post your and your company's name, address, email address, telephone number, and links to all your writings (optional). In addition, you can choose any other topic, which is not covered on my site, for example, I have only one article for the light commercial installation. 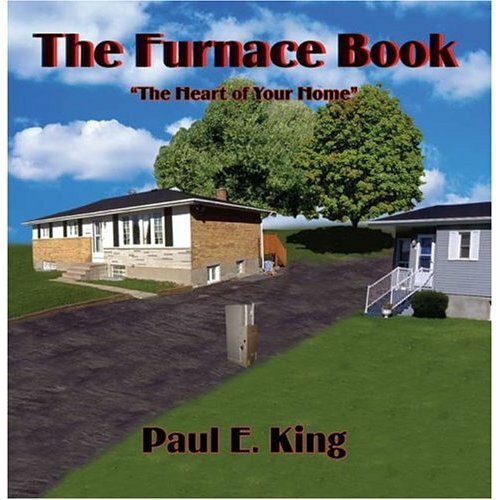 As a Chapter, I consider step-by-step instructions written for an experienced HVAC installer, who is just unfamiliar with this or that type of installation that can be inserted in one of my books. A chapter must have a lot of pictures that would support your explanations that are almost on the step-by-step basis and have to be sellable at the low price, ranging from $1.86 (installation in pictures plus short comments) and up to $40.00 (pictures plus step-by-step instructions). Only a professional who is residing in one of the southern states must write this particular chapter, so I can advertise it as a unique southern way of installation. As a book, I consider step-by-step instructions written for any experienced and/or inexperienced user, such as an apprentice or DIY-er. A book must have a lot of pictures that will support your explanations almost on a step-by-step basis and can be sold without need of any additional instructions and has to be sellable at the low price, ranging from $10.62 up to $200.00. If you decide to participate please send me an email from this page.